Chiropractic is the location and correction of vertebral subluxation(s) for the purpose of restoring mental impulses from the brain to every organ, muscle and tissue cell in the body, thereby allowing the body's own innate intelligence to enact the healing process. When the body is free of subluxations, and only then, can the body restore its ability to heal and function optimally. 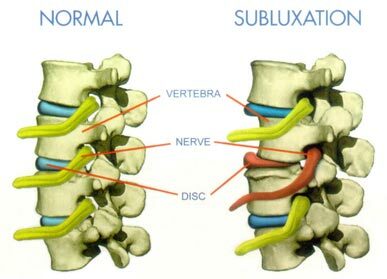 So... What is a Subluxation? INTERFERES with life-giving messages that are carried from the brain, down thru the spinal cord into the nerves, to give information to every muscle, organ and tissue cell in the body. Subluxations occur as a result of chemical, emotional, and physical STRESS. These stresses may include birth, accidents, falls, lack of exercise, poor diet, smoking, poor work environment, dealing with loss, carrying heavy objects, etc. 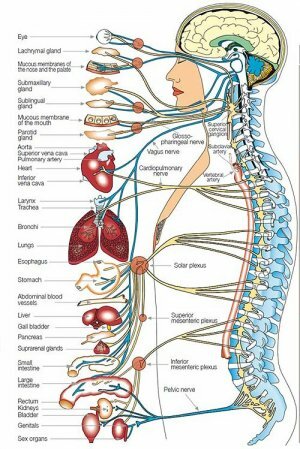 STRESS interferes with the Innate ability of the NERVOUS SYSTEM to allow optimal function and healing in the body. Where are you along this life line? You can't afford to wait any longer, call us TODAY!